The illnesses first were reported in February, according to the CDC. By mid-July, 212 people infected with the outbreak strains of salmonella have been reported from 44 states, including one in Maine. The most cases, 27, have been reported in North Carolina. No deaths have been reported but 34 people have been hospitalized. More than a quarter of infected people are children younger than 5 years old. So far, six different strains of salmonella bacteria have been identified in this outbreak. Every year, the CDC estimates salmonella causes about 1.2 million illnesses, 23,000 hospitalizations and 450 deaths in the United States. About one million of those illnesses come from food contaminated with salmonella. Most people infected with salmonella develop diarrhea, fever and abdominal cramps 12 to 72 hours after infection. The illness usually lasts four to seven days, and most people recover without treatment. But some people may suffer such severe diarrhea that they need to be hospitalized. 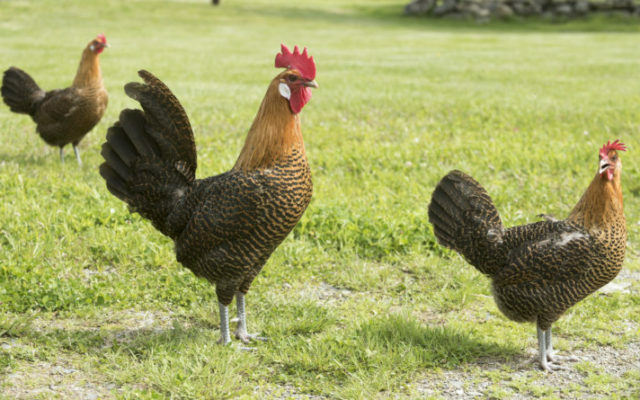 To read the rest of “Salmonella outbreak linked to backyard chickens hits Maine,” an article by contributing Bangor Daily News staff writer Abigail Curtis, please follow this link to the BDN online.